1. Select Programs from the menu. 2. Click Add to create a new program. This will open the page where you can create a program. 3. 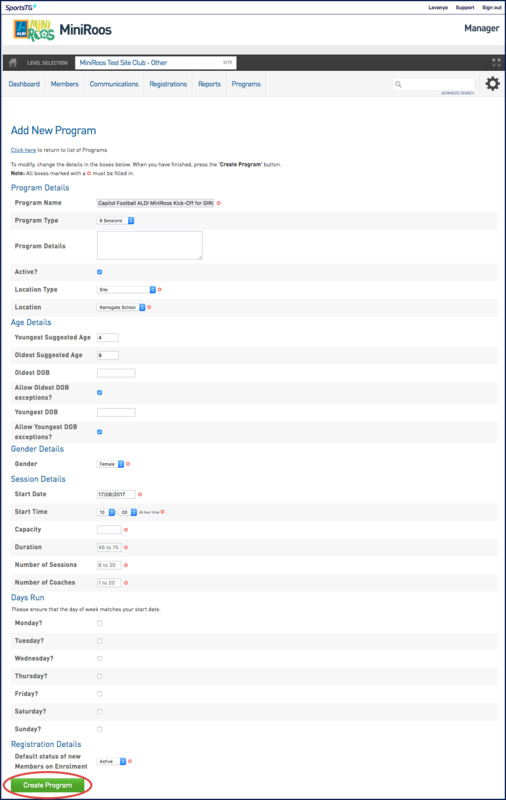 Select the type of program you wish to create from Choose which type of Program you wish to create drop-down. 4. Click Create Program. This will open the Add New Program page. 5. Enter all the information and click Create Program. NOTE: all fields marked with red star symbol are mandatory. 6. You will get a message stating that the program was added successfully. Click on Click here to go the program list and verify. 7. The Program in created. Continue to Add until you complete creating all your programs.